When Olympus took wraps off the OM-D E-M1 back in September 2013, the manufacturer also revealed that there would be a pair of top-line pro-spec lenses arriving to support it. The first of these – the M.ZUIKO Digital ED 12-40mm f/2.8 arrived at the time the OM-D E-M1 was released, however there’s been a more patient wait for the M.ZUIKO Digital ED 40-150mm f/2.8 to be unveiled. Keeping to their promises of a release date in the latter half of 2014, the first production samples of the M.ZUIKO Digital ED 40-150mm f/2.8 have finally started to hit UK shores, and with an opportunity to join Olympus to try out the lens at a sporting environment for which the lens is designed for, we charged the batteries on our OM-D E-M1 and headed down to Cheltenham races to find out if it’s the lens Micro Four Thirds users have long been waiting for. The M.ZUIKO Digital ED 40-150mm f/2.8 is designed to meet the expectations of serious Micro Four Thirds users that demand a long zoom and the type of ruggedness you’d expect from a lens that comes with a four-figure price tag. Although not the first M.ZUIKO Pro series lens to feature a dust, splash and freezeproof construction (this goes to the M.ZUIKO Digital ED 12-40mm f/2.8), it’s the first telephoto lens in the range that’s been made to withstand the severity of professional use. Compatible with the OM-D E-M10 and OM-D E-M5, its main appeal will lie with OM-D E-M1 users that have a fully weather sealed body, not forgetting Panasonic Lumix GH4 users who also benefit from a body with many seals to protect inclement weather or dust reaching, or potentially damaging, the internals. Maintaining a maximum aperture of f/2.8 across its zoom range, the construction of the lens is made up of 16 elements in 10 groups, with 1 Aspherical ED lens, 2 Aspherical lenses, 1 SED lens, 3 ED lenses and 1 HD lens making up the design. The focusing system relies on a dual linear voice coil motor design (VCM) to deliver a quiet and fast performance, and with a minimum focus distance of 70cm and an inner zoom mechanism that allows it to be no longer than 160mm, it looks set to be one of the most impressive Micro Four Thirds lenses going, or at least it does on paper. While buttons on the barrel aren’t anything new, the lens has a function button that allows you to control the way you setup the camera’s function buttons. It’s positioned on the left side of the barrel just behind the zoom ring for control with your thumb when the lens is supported in the left hand. In addition, the sizeable lens hood is the manufacturers first lens hood with a retractable design. It’s quite ingenious in the way it works. Twist the lens hood’s release ring anti-clockwise from behind the camera and it effortlessly pulls in towards the camera, protecting both the push-pull AF/MF control ring as well as the zoom ring when not in use. Due to the size of the hood it fouls a majority of the zoom ring when it’s pulled back in, but it does solve the issue of having to remove a lens hood completely and inverse it manually for storage and transportation purposes. 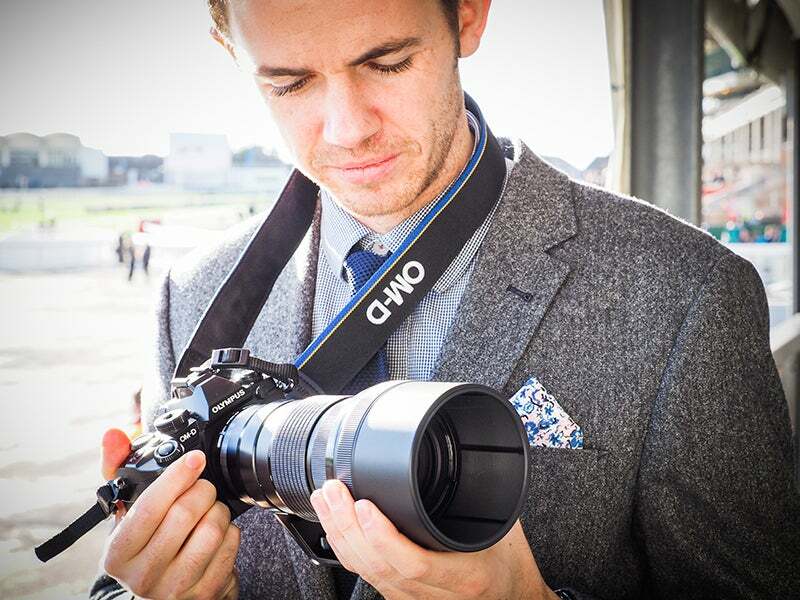 Olympus 40-150mm First Look – Is it as strong as it looks? The all-metal construction of the lens oozes strength and rigidity, as you’d expect. Just like the M.ZUIKO Digital ED 12-40mm f/2.8, it’s a lens that compliments the build quality of the E-M1 and manages to feel at one with the camera. Professional lenses are always expected to be able to survive a bit of a battering from those it’s used by, and there’s nothing to suggest the M.ZUIKO Digital ED 40-150mm f/2.8 will get damaged easily. Even a collision with a solid spectator barrier, albeit a glancing blow, failed to damage the lens in any way during our hands-on experience. Storm clouds and drizzle early in the day looked like the perfect conditions for putting the lens’s weather sealing to the test, but the sun broke through in true British fashion so we’ll just have to wait until our final review sample arrives (hopefully in the next few weeks) before we can subject it to a soaking and see how it performs in this respect. Users looking for a filter to protect the front element from accidental knocks and scrapes will also be interested by the PRF-ZD72 Pro – a filter specially designed for the lens that incorporated ZERO (Zuiko Extra-low Reflection Optical) coatings to minimise ghosting and flare. Unfortunately this was unavailable to use during our hands-on experience. Olympus 40-150mm First Look – How fast is the autofocus? It’s the speed of the autofocus, as well as the image quality performance of course, that Olympus users will be most eager to read about. 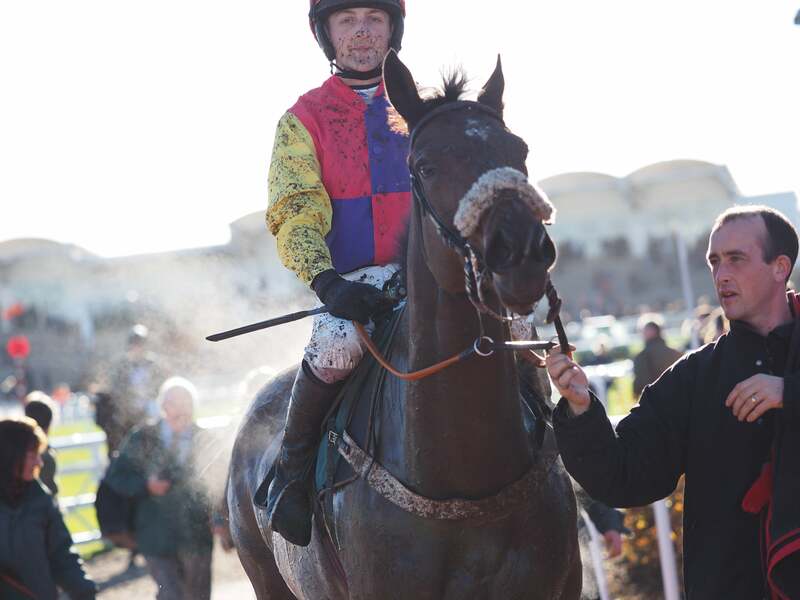 In use and in both Single AF and Continuous, the M.ZUIKO Digital ED 40-150mm f/2.8 showed barely any sign of hesitation locking onto fast moving subjects – even when tracking racehorses galloping on their approach to the finish line. First impressions of the autofocus are that it’s very fast indeed – great news for the sports and wildlife photographers it’s designed for who require a split-second lock on speed, which can result in bagging a sharp shot or not. Image: The Olympus 40-150mm’s fast autofocus allows for capture of split-second moments. 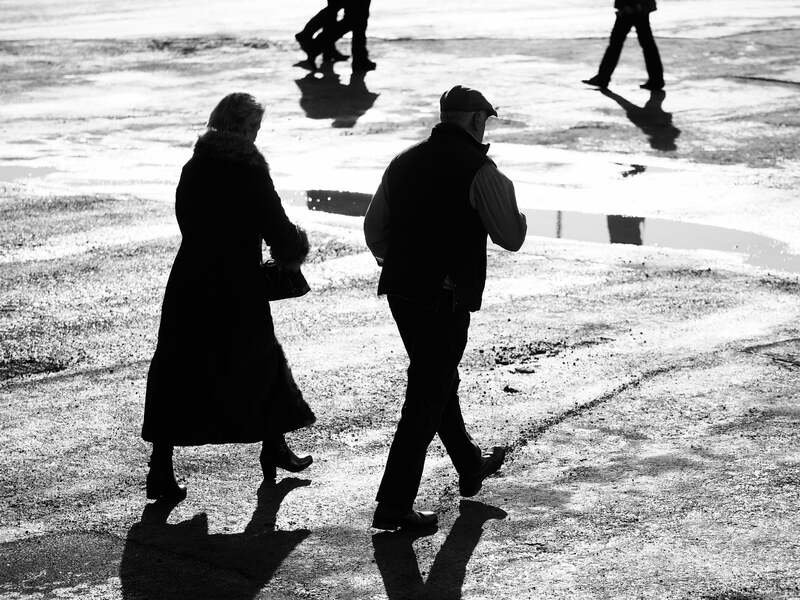 Olympus 40-150mm First Look – What’s it like in use? The M.ZUIKO Digital ED 40-150mm f/2.8 is a particularly pleasing lens to operate. Everything from its smooth zoom ring to push pull AF/MF ring works well. The zoom ring motion is as smooth at its widest focal length as it is at full telephoto and offers a pleasing fluid motion that I found just a fraction stiffer than AF/MF focus ring. Focus distance markings are revealed as the AF/MF focus ring is snapped back towards the body, while the tripod collar rotates freely once loosened. It doesn’t notch into place as it rotates like some lenses, however the white dots and white line on the collar itself are aligned easily enough. The size of the focus ring is fairly modest compared to the large zoom ring, but this didn’t prove to be a cause for concern in use. 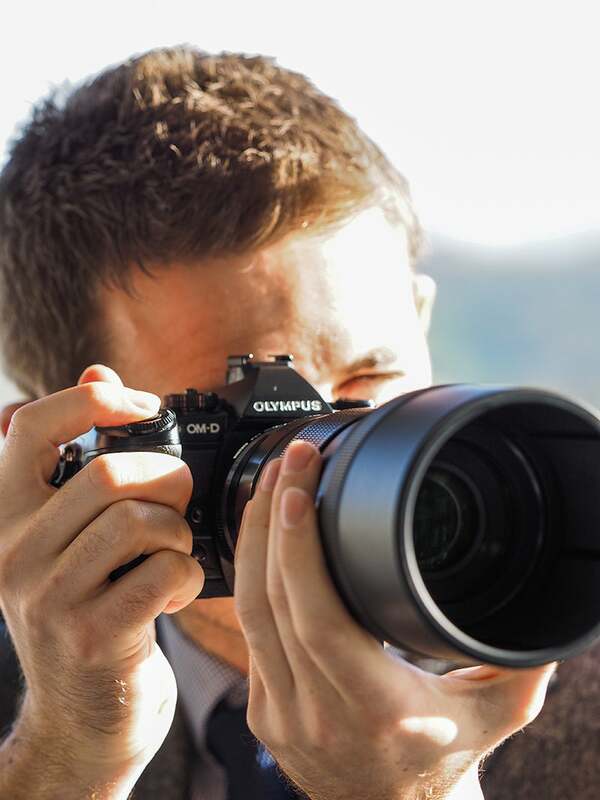 Olympus 40-150mm First Look – The best MFT telephoto lens to date? Though the lens’s price tag (£1299 or £1499 with a 1.4x converter thrown in) might only see creep into the most serious photographer’s kitbags, the M.ZUIKO Digital ED 40-150mm f/2.8 is certainly an optic to get excited about. In the three hours of using it, my experience and opinion puts it right up there as one of the best and most enjoyable Micro Four Thirds lenses I’ve ever used. Without analysing our lab results and inspecting images beyond a quick 100% loupe view in Lightroom it’s hard to tell exactly how good it is and whether it has any pitfalls. Initial sharpness looked excellent, both on the E-M1’s display and in Lightroom, suggesting it’s a lens more than capable of resolving the finer details in the frame. We can’t say it’s the best Micro Four Thirds lens to date yet, but it certainly has the potential to be – watch this space, our full review sample is expected to arrive at the WDC office in the first week of December.